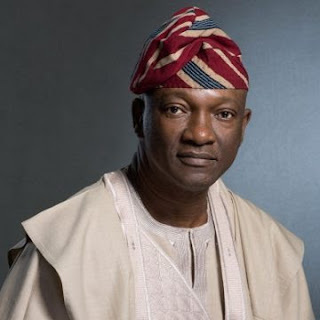 Mr. Jimi Agbaje, Lagos PDP governorship candidate, again, sheds more light on his campaign slogan – Freedom. The renowned pharmacist and owner of the popular Jay Kay Pharmacy also talks about the forces holding Lagos down as well as how he plans to overcome them, and ultimately plant smiles on the faces of Lagosians if elected as their next governor. Your campaign, this third time, started on an unpleasantly remarkable note. Your billboards, strategically positioned on Third Mainland Bridge, were vandalized barely hours after they went up. How do you react to that? Quite interesting! Because I was coming in from a programme – The Unusual Praise – a programme that was being held at Lekki (Lagos) at about past 4am and one of my own people who was with me; he was also going home, on Third Mainland, informed me. Well, the kind of person I am, I just decided that I will sleep first, because the tendency to react at that point, you could do the wrong things and so, I slept and I woke up in the morning and I thought that the best thing to do was to inform the Commissioner of Police, which I did and he was also surprised. But having said that, I think, for me, I’m not even sure that they thought it through, because I’m not sure that it was even good for them. However, I believe that those who did it and those who planned this thing felt that it was a way to intimidate us – (1) that they could use it to intimidate us (2) may be they felt that we are going to match them resources for resources, and because they have state resources, which we don’t have, because those boards cost quite some money. So, it was like to give us a run for our money. So, it’s like let’s see how far you can go. But for me, it’s uncalled for, it’s a cowardly thing; I was actually looking forward to issues-based campaign. Let the people even enjoy the campaign, let them appreciate what it’s about, not to bring violence and such things. I think, for me, it’s just unacceptable and that’s it. One APC member, specifically, Mr. Babatunde Ogala, who is the party’s National Legal Adviser, asked us when the story was published how sure we were that APC did it; and that the PDP could have also done that. How do you also react to that? Well, let’s look at it like this – because that same night, as ours were being destroyed, theirs were being put up. We didn’t even give the full story…one of the guys who was putting up the posters was actually kidnapped that night, but they reported to police and the police did help to ‘retrieve’ the person. Of course, the question you will ask next is probably why they didn’t arrest the culprit and all that. Well, that’s another story altogether. But I am sure that there are some people who know, and we also know where it came from, based on all that. You said you reported to the Commissioner of Police. What did he say? Yes! Well, his first reaction was that it means they would have to put surveillance over these things – but how many places are you going to put surveillance over? In fairness to him, he called for a meeting the day after, that is Wednesday, of all parties, and read the riot act to everybody and also appealed that this is not the way to go. But I want to believe that since it happened, even the other party, has seen that it wasn’t really in their own interest to do what they did. You talked about wanting to run issues-based campaign. What are these issues for Lagos? The issues start from; you know we talk about freedom. People believe that there’s a disease in Lagos and a lot of the other things that are happening are symptoms of that disease. The disease is that there’s a stranglehold over Lagos in terms of money, in terms of political power and it’s about self; and not for service. In other words, there’s a lot that’s going on. You have one or two vested interests in total control or near total control of the way our resources are managed and I will start from the one that most people know. We believe that for Lagos, since the last 20 years; it’s the same people that have been in power. Lagos has spent some nearly seven trillion naira. There’s what you call whether fund collector or fund manager, which is a private company that takes a percentage of this seven trillion naira. Now, try calculating what the percentage of seven trillion is…I’m sure your calculator is not likely to be able to do that. So, they are taking a percentage and one has to ask, this fund collector or this company, do we see them, do we see anybody working for them? The people that come to chase us are Lagos State Inland Revenue Service people. So, what is the essence of taking this money? Now, it’s maybe because Lagos has refused to domesticate the Freedom of Information Bill. So, you can’t even know where the money is going into. I think the first thing when you talk about freedom; you are talking about first, freedom from the mismanagement of the resources or shall we say the diversion of the resources of the state to private hands; to a few private hands. That is the first freedom. But you see, a lot flows from there. Let’s talk even about transportation, and we also talk about the light rail. Lagos has been building its light rail for 12 years. Addis Ababa (Ethiopia), like I said on Saturday, took three, four years and their light rail was working. Now, if you go deeper, if you go into the story of the light rail, that is the Blue Line; the easiest line would have been the Red Line and that is the one that is running from Ipaja down to the mainland. It would have gone to the airport. It is shorter, it is easier, it is cheaper to run, but because of these self interests, some people decided that they were going to do the Blue Line instead. Now, the Blue Line is more expensive and it hasn’t been done. The Red Line, which is the one I’m talking about, has not even taken off. Now, who suffers? The people! So, we are saying – why should it be? I mean, I’m still on transportation. Let’s talk about the BRT. You have the BRT buses today more or less grounded. Grounded, why? Because it’s these same interests that own the BRT buses. If you go find out, they are not paying for fuel yet they are having problems fuelling the buses. If you buy a ticket for a day today, which cannot even be used for the next day, by the time you spend four days and you don’t see a bus, you lose your money. But there are new buses that had been bought, delivered to the state for the last four, five months; they are not in use because this was bought by the government. If this goes out, it means that these same vested interests will lose on the buses that are already on the road, because it’s going to take over their business. So, the powers that be say don’t release these buses. Who is suffering? So, when you talk about freedom, it’s freedom from suffering and for even the poor. That’s as far as buses are concerned. And I can go on. When you talk about freedom, I’ve talked about light rail, I’ve talked about buses. Now, we are asking, seven trillion after, is our waste situation better? Seven trillion, waste! Seven trillion, health! Seven trillion, education! You go look at the statistics. Even the children of the poor, their parents force themselves to send their children to private primary schools, because the public primary is not good. Meanwhile, the real education of any child in today’s world, is in basic education. All those people, Facebook and all the Zuckerbergs and the Bill Gates, they were super stars not from the university education, but from the basic education. Today’s basic education is about innovation. A child must be able to think bare things and know he can do it. We don’t have that any longer. So, when we talk about freedom, we are talking about that kind of freedom. Let’s look at even the recent happenings – politically. You see, if a party or a group of people does not practice democracy, we all suffer. So, you have a situation where, like I said, between now and May 29, governance is at its lowest, because you have created an internal problem within the party, within the administration, that makes the governor totally redundant. Totally ineffective. There’s no authority any longer. In fact, if you go out today and you see the candidate and the governor at any event, people are rushing towards the candidate rather than the governor. That’s the kind of set up that we have. So, when you are talking about freedom, we are talking about such things and I can go on and on and on. Then, power! Again, seven trillion after, we still have a power problem. The truth is that there’s embedded power that can be used in Lagos and so when in my media launch I talked about a minimum of 1000 megawatts, it’s because we have thought it through. And it’s possible to have more power. Lagos needs, I think, about 3000 megawatts, constant. I must say it won’t satisfy everything, but with 3000 megawatts, everybody will be happier. Micro, small and medium enterprises will have power. Homes will have power. That’s the kind of freedom I’m talking about. Taking about our traffic – freedom from the traffic. Again, with regards to traffic; you look at our traffic situation – how many people have died trying to be rushed to hospitals, how many have lost opportunities to get jobs, because they were late for interviews? I know I’ve had to take okada many times to get to the airport to meet my flight. So, these are the things that make you begin to ask yourself what is it? And when people ask: so, what are you going to do? I’m saying I’m just giving some of these freedoms. And I’m saying, well, what we are going to do is that we are going to put our campaign on a tripod, on three legs – liveability, which is how well are we living in Lagos; on the economy and then on the future. Maybe I will start with the future, then I will be able to explain how it dovetails backwards, like a value chain. 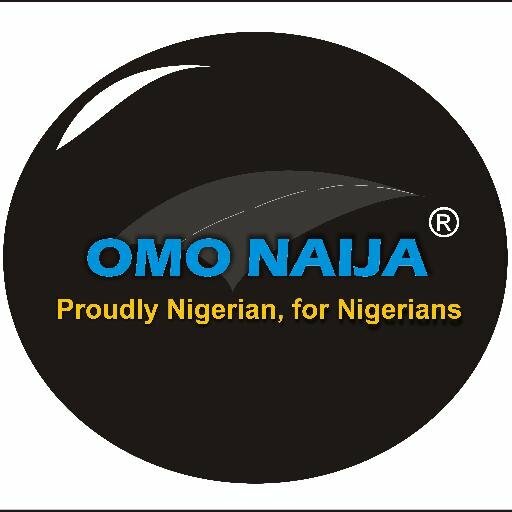 If you ask any young man, in fact anybody probably between 18-55 today, that as a Lagosian, if you had the choice to go to Canada or to stay in Lagos, which would you prefer? I’m sure that the answer will be obvious. Ah! Canada? Are you sure? I will go! And if you go further to say why do you want to go to Canada? They will tell you simply, if I get to Canada, at least, I will be assured of some kind of accommodation, I will not have problem of NEPA or no NEPA, my children will have education guaranteed and I don’t even need to have a car because there’s public transport. These are the things that Lagosians require, but these are the things that Lagos, with seven trillion and 20 years after, has not been able to give. Again, people talk about Lagos and say oh, but it’s doing well; I think there was an interview recently and somebody was saying that Lagos is doing magnificently well and I said what is magnificent? Then, he compared it with a state. And I said that state is not in the same status with Lagos. Lagos is a mega city. Every year, even by their own statistics, they say one million people come into Lagos. The way you are gonna handle Lagos is not the way you are gonna handle those other states. Lagos as a mega city is only one of two mega cities in the world that does not have a light rail system. How many roads are you going to build for the cars that we have on our roads? Now, that is the kind of thing we are talking about in terms of liveability. How well are you living? When you take 3 hours to work in the morning, and you take 3 hours back home, in the evening, do you know what it costs you? The cost on your own health, the cost on your own family, because you don’t have time for your children and then you begin to breed miscreants unknowingly or unwantingly. These are some of the issues we are talking about. Freedom from the traffic gridlock. Again, this same Lagos, 20 years after, seven trillion naira after, what has been added to Lagos in terms of the road network? Every four years since 2003, we’ve been hearing about the Fourth Mainland Bridge, but nothing happens. Why doesn’t it happen? It’s freedom again! Why is that freedom? Because many of those that have come, in some of these cases, that want to do this Fourth Mainland Bridge, the kind of conditions they are given is such that must pay the vested interests. Once the vested interests cannot benefit from that Fourth Mainland Bridge, they kill it. Who’s suffering? It’s the people that are suffering. So, that’s the kind of freedom we are talking about. So, we are talking about liveability, education, health, transportation, housing. That’s one leg of it. Then, I’ve talked about the future. Then, the economy. Two things – just two major things. No. 1 – ease of doing business. Lagos, in this country, I think, is the No. 30 or No. 31, out of 36, in the ease of doing business. That is not a state that really wants to encourage the economy to grow. Lagos was once the industrial and commercial capital of Nigeria. It has lost that industrial part to our neighbours. So, you now find our neighbours say that they are the ones industrialised today. So, all we have now is the commercial. And the commercial is even because we still have the ports. If we don’t do it right, we may lose that, if the other ports begin to function. That’s the economy. And the second one, of course, is power. If we do power and take it as a priority, then, it’s gonna be a different ball game for the economy. So, this is the way I wanna put it at this point in time. Your critics and opponents say you always wait till very close to election before declaring. Why is this so? Well, it’s not really about waiting. I think people misunderstand what one does. Oh, there’s also a talk that you go to sleep after the elections and then wake up just before another election. It’s not correct. There are roles that we play. In the last four years, I’ve been very active at speaking fora, I do a lot of motivational talks, I attend to the youths a lot, I go to different programmes. So, I’m very much around. But you can say that I am not openly playing politics. Again, it is the understanding of the system that we run, and people have to appreciate that. I think we are coming from a British model where in the parliamentary system, you have what you call the leader of opposition and you have the shadow government and so what happens is that if you have a commerce minister, there’s a shadow commerce minister and so they attack themselves, they continue to argue and all that. That is the British parliamentary system. In the presidential system, there’s no such thing. So, you are a gubernatorial candidate, when you have finished, you step back, and the party takes over. The party takes over in terms of the executive of the party, in terms of the elected members of the party and what’s supposed to be going on. You are no longer the gubernatorial candidate and if you look at the American system, since Trump came in, did you hear Hillary Clinton continue to charge at Trump? Even when Trump is abusing her every day, because she doesn’t really have that role. You don’t hear even Obama, the way they abuse him and everything. If anything, it was only when the mid-term elections came that you saw Obama come out to campaign. That’s the presidential system. Then, again, in our system, it’s worse, because even if you have left as a gubernatorial candidate, and then you continue to talk, even within the party, they will say ah! It is like you want to take over the party; you are already campaigning for the next election and so these are the realities that you find on the ground. But to say that one has not been around, I’ve been very much around. And don’t forget, in 2016/2017, I ran to be National Chairman of the party. Now, that’s not somebody who was sleeping and the reason I ran was because there was a belief or my own feeling that the PDP had gone through a very bad patch in 2015, so there was a need to have a new face to the party and I was very involved in that. So, it’s not like one was sleeping. Another thing the opposition often say is how would Jay Kay run Lagos successfully when he hasn’t made a huge success out of his own business, Jay Kay Pharmacy? Well, I don’t know what they mean by making a huge success out of Jay Kay Pharmacy. But I think the way I will answer is this – that Jay Kay Pharmacy that they talk about has made me what I am today. Whatever I am today is from Jay Kay Pharmacy; I sent my children to the best of schools in Nigeria and abroad, based on the income from Jay Kay Pharmacy; I have investments that I live comfortably on based on Jay Kay Pharmacy. I think it is either propaganda or a lack of knowledge on how businesses run that they say that. I don’t do government contracts, I don’t do state, I don’t do federal and even they themselves, what businesses have they set up other than to take what belongs to us and other Lagosians?